An ArtBox frame made of glazed aluminum turns your photo into a sculptural object befitting a gallery. Four frame depths are available, allowing you to choose according to the desired effect. 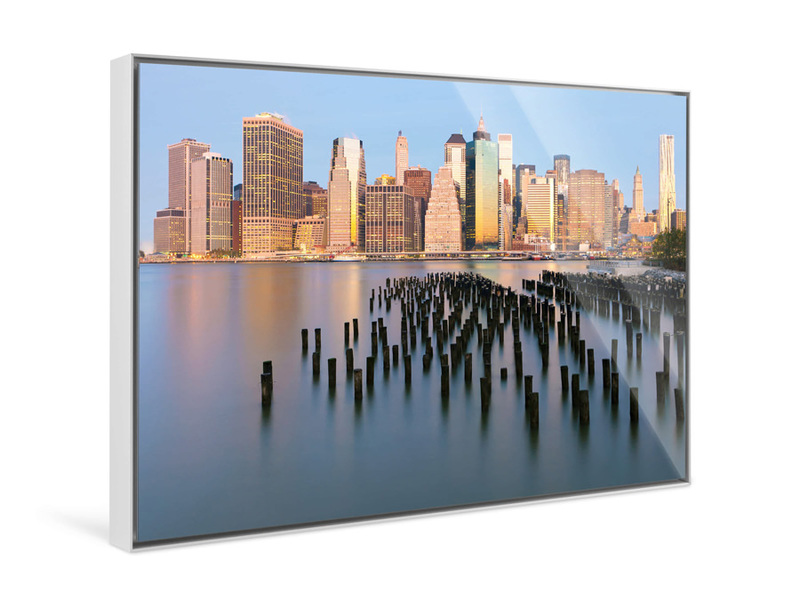 Likewise, there are three mounting options for your image: acrylic glass, aluminum Dibond, or a Forex® backing panel. The modern black or silver ArtBox turns your photos into real eye-catchers and comes with a pre-mounted hanging system, as is standard with WhiteWall. 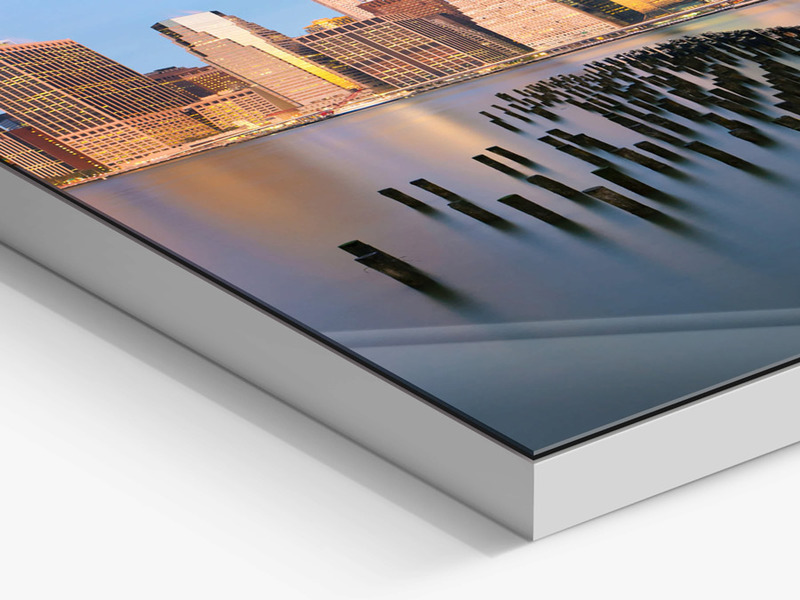 Your photo will look striking and timeless in an aluminum ArtBox. There are two colors and four depths to choose from. WhiteWall delivers your picture complete with an integrated hanging system, which is included in the price. The small gap  between the picture  and the aluminum frame  is simple and effective. It makes the image appear to be floating. The material your photo is printed on, or mounted on, is another important factor in helping it achieve the effect you want. We provide various choices with different looks. For instance, our real photo prints are made using brand-name photo papers with unique properties. Select the right material for your image! At WhiteWall, you are always in the driver’s seat – you make the decisions, because you know what your photo needs. Special formats – like panorama or square – can be made just the way you want them, in the exact size you want. That goes for more standard landscape and portrait formats, too. You set the aspect ratio and size – anything from mini to extra-large! A wall-mount is always included in the price at WhiteWall. 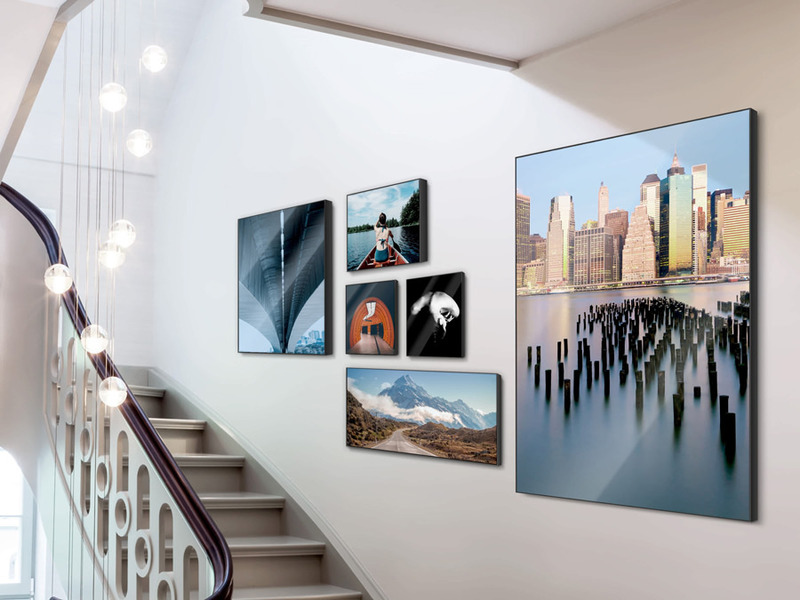 Your photo arrives ready for your wall, and hanging it couldn’t be easier. Design, design and more design – that is the initial thought of so many WhiteWall customers’ minds, when they hold their own picture in an aluminum ArtBox for the very first time. Once the frame is mounted on the wall, ArtBox really comes to the fore: Your picture seems to float weightlessly and really is more of a 3D design object, than just a photograph. Even more so if you choose a depth of 2.95" (75 mm). Images laminated under acrylic glass additionally have an impressive depth of field. Aluminum Dibond as an image base is a lot simpler, more elegant and much more robust. You can also choose your ArtBox in solid wood for an overall warmer and more discreet look. But if understated is not your thing and you want to add a sculptural flair to your design object, then you should definitely choose a shadow box frame for your picture. Acrylic glass achieves a moderate depth of field at a thickness of as little as 2 mm. At 4 mm you get gallery standard. Here too, we can do even better: At a glass thickness of 6 mm, your picture will have a very impressive depth of field. Laminating under acrylic glass are unobtrusive and timelessly beautiful. An aluminum or wooden ArtBox will make it seem as if you gave your picture its very own room: A room for your memories. Of course there are also photographs that demand their own space in a very different way. These are images that need to be unfettered, that should not be hampered by a frame. 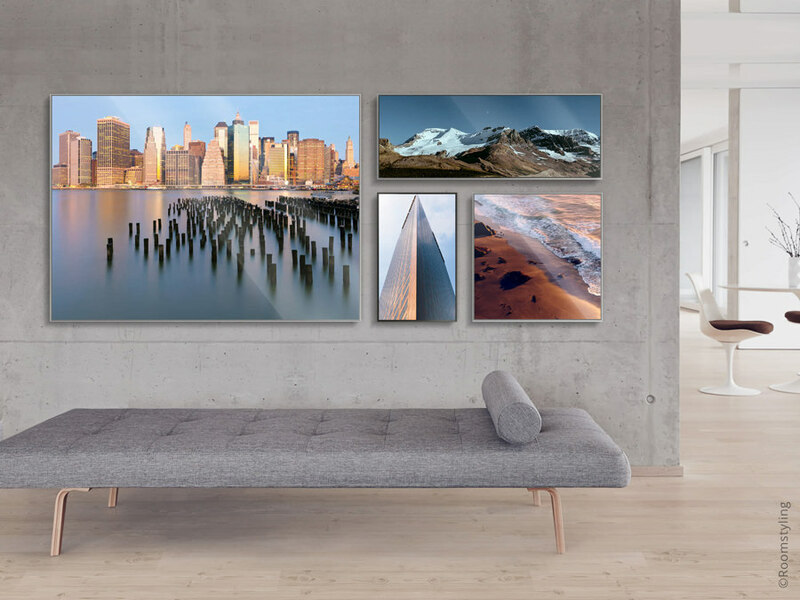 WhiteWall has developed an unbeatably extensive and most of all: top-quality selection for objects like these – find the image base that is right for you: Canvas, textile, Forex, wood, aluminum or aluminum Dibond, and allow your picture to develop the effect you envisioned. Premium quality direct and original photo prints? With frame or without, understated or opulent – your wishes are what drive us: We are the best and intend to remain in the top spot. Photos by WhiteWall – as real as your memories.